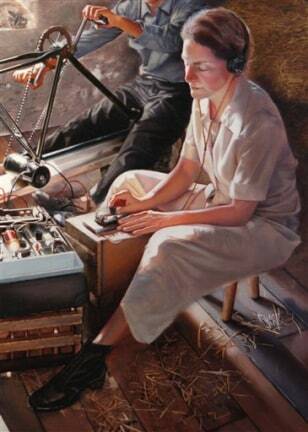 This undated photo provided by artist Jeff Bass shows a section of his painting of World War II spy Virginia Hall. Hall, a Baltimore native, worked for British intelligence. On Tuesday, French and British ambassadors plan to honor Hall, who died in 1982 at age 78.